If you are a UVic Psychology student interested in doing a Honours degree with Dr. Krigolson contact him via email and set up a meeting. 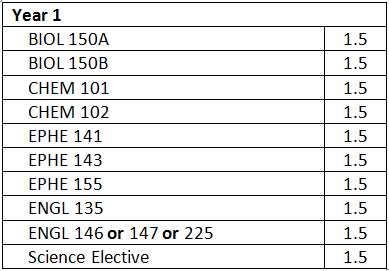 If you are a UVic Kinesiology student interested in doing an Honours degree with Dr. Krigolson, take a look at the recommended sequence of required courses presented below to see which courses you must take to receive your Honours degree. Dr. Krigolson only takes Honours students who have a year or more experience in the lab as neuroimaging methodology is too difficult to learn in a single year. Also note that Dr.Krigolson offers Directed Studies opportunities (EPHE 494) for prospective honours students - see more on this below. If you are not yet in the Kinesiology program but are interested in joining, CLICK HERE to see the Kinesiology admission requirements. Honours students are in a 61.5 unit degree program as opposed to a 60.0 unit degree program. 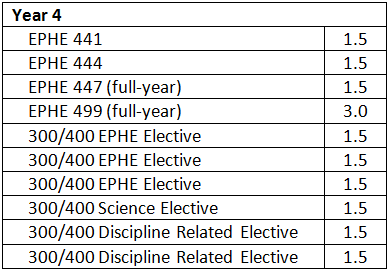 While EPHE 499 (Honour's Thesis) is listed as 3.0 units, only 1.5 of those 3.0 units count as kinesiology electives - the other 1.5 units are required over and above the non-Honours 60.0 unit requirement. 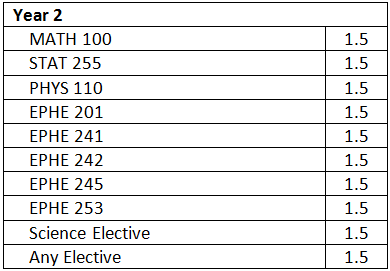 For clarity, we have compiled a check-list of the courses you must take to graduate with a Kinesiology Honours degree. Also note that EPHE 357: Introduction to Research is a required course for Honours - it does not count as an elective course even if you have taken it before and thought of using it in this manner. MAKE SURE YOU UNDERSTAND THE CREDIT COUNT! CLICK HERE to open a printable check-list of the courses you must take to graduate. 1. Complete the Honours Application form and bring it to the Undergraduate Advisor, Dr. Brad Temple. ​2. Dr. Temple will verify that you meet the GPA requirements. 3. If you meet the GPA requirements, Dr. Temple will return the form to you and you bring it to Dr. Krigolson. 4. If Dr. Krigolson agrees to supervise you he will sign the Honours form and return it to you. 5. You return the form to Dr. Temple who will then update your university record to show admission to a Honours Degree program. 6. Prior to commencing your Honours Project work, you will need to complete the attached Pro Forma course request to register in EPHE 499: Honours Thesis. Dr. Krigolson will help you with this. CLICK HERE to learn more about the Honours program admission requirements. CLICK HERE for more information about which courses count as science and discipline-related electives. 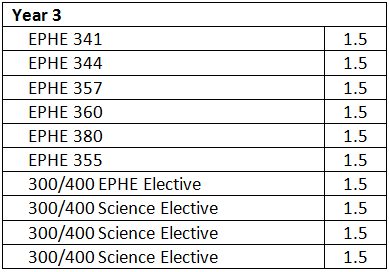 Students working in the Neuroeconomics Lab will have the opportunity to fill 1.5 or 3.0 units of their higher level EPHE or discipline related elective slots with one or two Directed Studies courses under Dr. Krigolson’s supervision - specifically, EPHE 494. Directed studies courses require the same amount of instructional hours as a typical course but can be done on your own time. Directed studies courses take many forms - some are research projects whereas others involve writing papers, data analysis, etc. Please contact Dr. Krigolson by email for more information. As an honours student In the Krigolson Laboratory you will be required to complete both an honours project and honours thesis. The project will consist of a year long research project that you will complete working in conjunction with a graduate student in the laboratory under Dr. Krigolson's supervision. Students typically plan the project during the summer (May to August), collect data during the fall (September to December), and analyze and write up the thesis project in the spring (January to April). In terms of completing the project, students will have to present their thesis project at either the honours poster conference or another similar venue. In the past, honours students have had the opportunity to present their project at a regional conference - NOWCAM. Honours students are also required to write up their thesis research. A typical honours thesis can be found HERE. With these dates in mind, data collection must be completed by the end of the first semester otherwise it is unlikely that the student will finish the honours thesis on time.